The Star child may be defined as a child with both human and extraterrestrial origin. These children bring with them a knowledge far beyond what our minds can comprehend. Relating to the Pleiades, their knowledge deals with science, analysing, psychology and the general functioning out of “how things work”. On the Earth plane these children will find the ways things are done here are extremely slow, archaic, boring and they can become quite frustrated. The reason being is that their knowledge relates to teleporting, telepathic communication and the language of LIGHT. They would consider quantum physics to be extremely easy. This is difficult for us to understand as most of us either had no interest or failed basic science, chemistry and physics at high school. These children are often confused at first by the primitiveness of Earth, by their dense physical bodies, and by the often witless level of thinking and behaviour of their age-mates, not to mention many adults they observe. These children are special gentle souls, as their sometimes bewildered and bemused parents know all too well. They often seem to be little adults in children’s bodies. They often have a gaze and a knowing that belies their years. But even though increased cranial size is a rough index of intelligence, even more important is the qualitative increase in human development, in areas such as enhanced psychic abilities, ability to harness bioenergetics and earth and cosmic forces to heal, telepathic and intuitive linking with others and with Source Consciousness. On a social level, these children prefer to be with adults or will go to extremes and associate with much younger children Preferring not to be with their own age, as they can not relate to them. With this brings a duality as they have no social skills such as eye contact, general socialising or communicating in totally new ‘unsafe’ environments. Consequently, as an adult they become the introvert hermit, scientist, researcher, preferring to hide in their work and knowledge than socialise. Body shape will be extreme – either exceptionally thin or appearing to have ‘puppy fat’. Generally speaking, the kidneys (organ of fear), and the spleen (organ of worry), shall create physical dis-ease, such as poor immunity for health, not immune to critical comments or teasing, and feelings of being afraid. With this also comes being extremely E-Motional and reactive to situations, such as crying or feeling picked on. An inner knowing that they are “aliens”, which is what they do to themselves – alienate themselves. These children will gravitate to the carbohydrates such as pasta, bread and especially the sweet foods. Quite ‘picky’ and selective in their foods, they require encouragement to try ALL foods and especially the essential fats such as omega 3.6.9. Their eating needs to be monitored for balance, under eating and over eating. 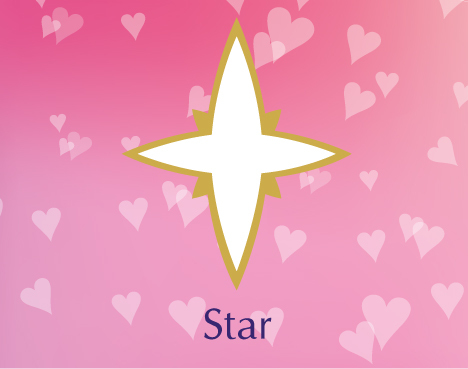 The Star Child will require encouragement to play sport and have outside activities everyday. This helps with expelling the fear and emotions so as not to be suppressed. Sports such as tennis and Martial Arts are preferred over team sports. Being introvert, they do not like touch or groups.